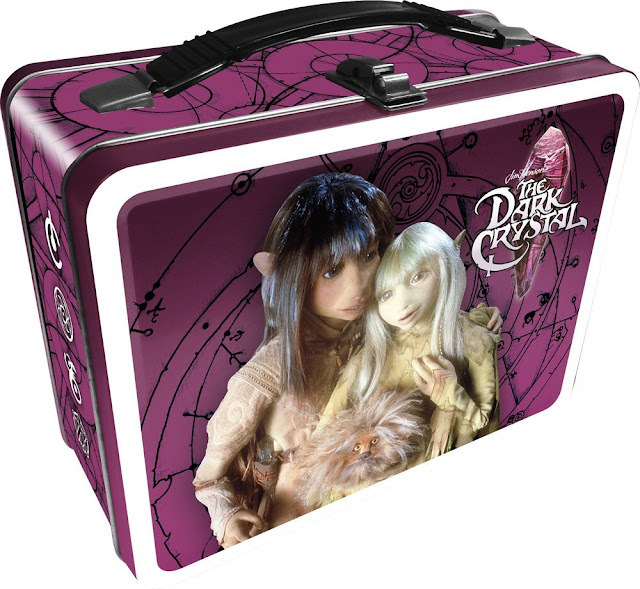 I wish I was taking college classes so I could bring my lunch to campus in this Dark Crystal lunchbox! New from Aquarius Cards & Gifts. 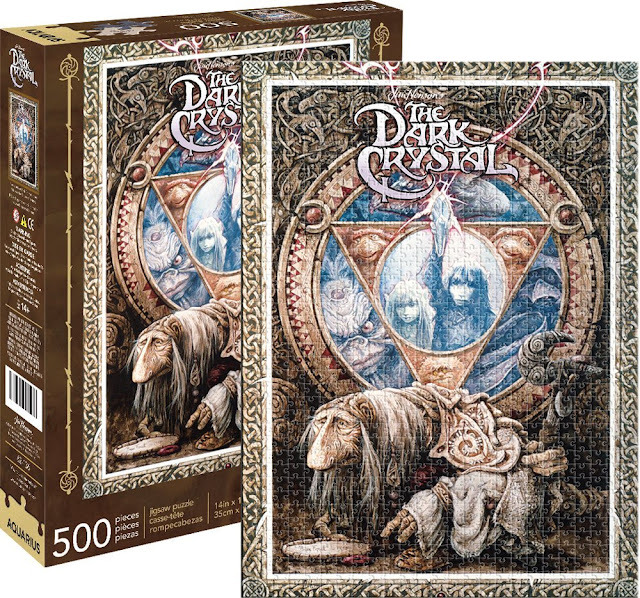 On rainy spring weekends, you can put together this 500 piece Dark Crystal puzzle. 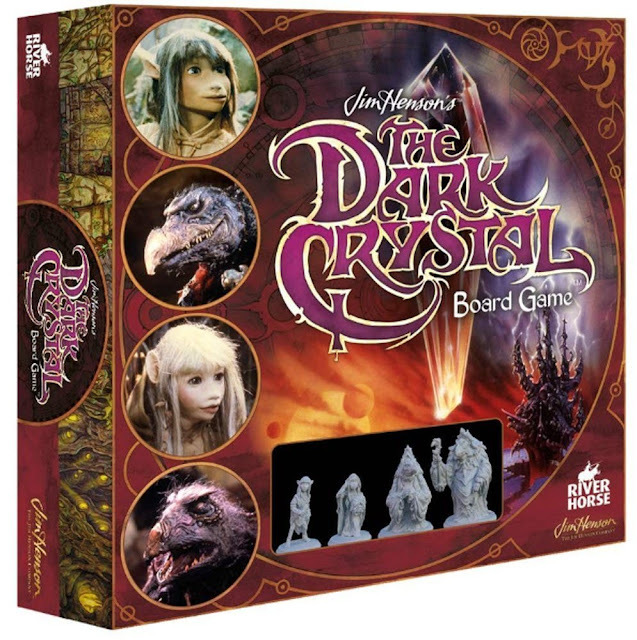 Or while away the dreary hours with the Dark Crystal board game. 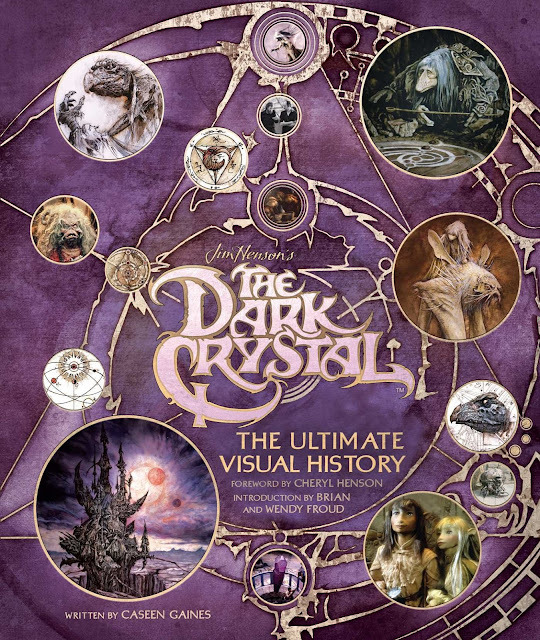 The Dark Crystal Visual History book might just have to be my next coffee table book, waiting for my visitors to peruse it while sipping the cocktails I serve them. It was published back in September. The Amazon listing lets you peruse multiple color photos of the glorious inside pages! I'd better get a bigger coffee table, because look what comes out in July also? 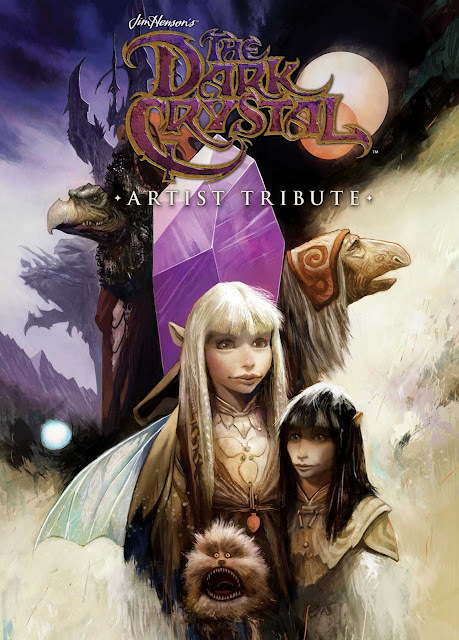 The Jim Henson's Dark Crystal Artist Tribute book! 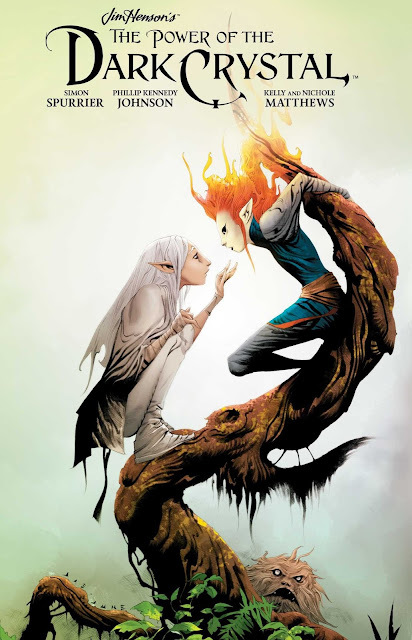 Stunning, from what I can see of the preview pages. 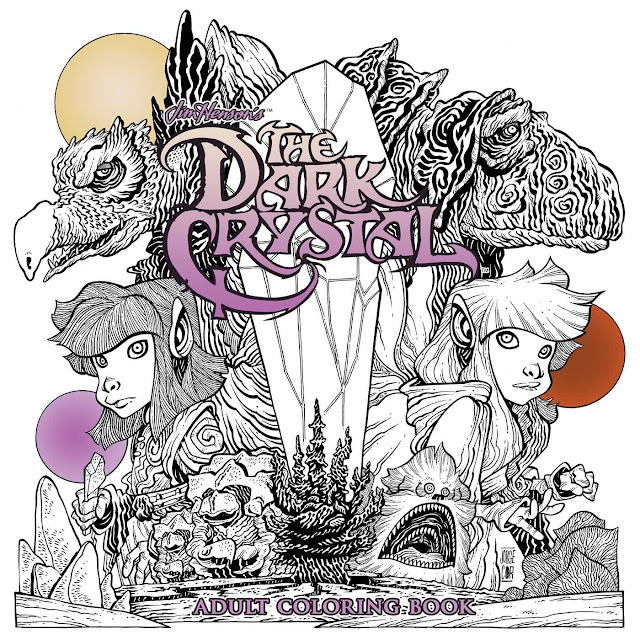 The Dark Crystal adult coloring book comes out in July. I probably won't sit around coloring on nice summer days, but I might buy one and put it away for dark fall and winter evenings in front of the fireplace. 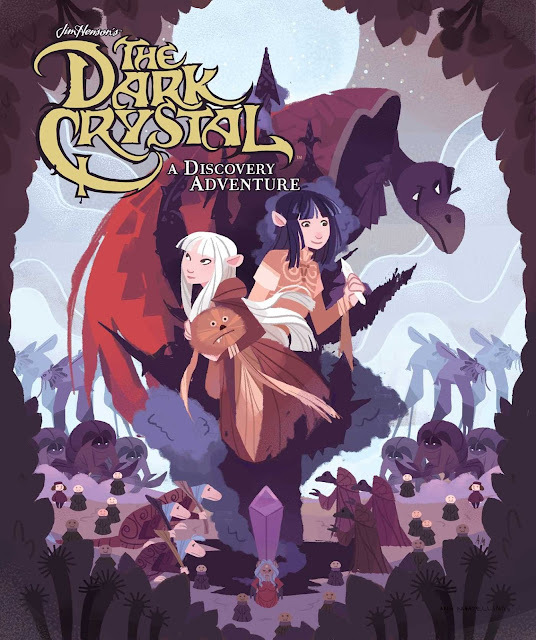 Volume 2 of the Power of the Dark Crystal graphic novel comes out in late April. Hmm who else is tempted to rewatch this fantasy classic later today?